If you are at a crossroad between Android or iOS platforms, then this short guide will help you to make a fair and strong decision when you are planning to build your eCommerce App. Building an eCommerce application is a strategic business decision from the perspective of technology and cost. There are many factors involved that not only impact the eCommerce app development process but also the ROI that your business receives from the eCommerce app. Therefore, it is essential for businesses to consider all the factors carefully and only then decide to choose between iOS and Android platforms. Developing for iOS or Android is a difficult choice to make. 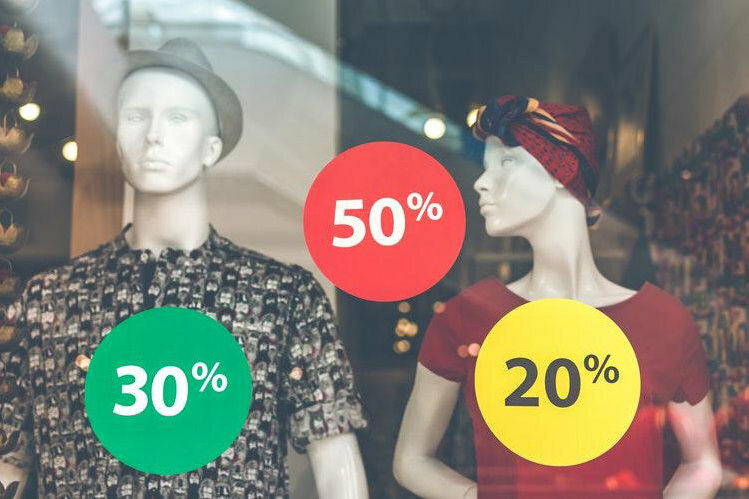 But if you are aware of what your audience needs, which feature and functionality is important for shopping app, how much can you spend on app maintenance, and finally and the most importantly, what is your precise revenue goal, then you can quickly end this conflict of Android or iOS for your eCommerce mobile application. To determine whether to develop for Android or iOS, first check where your target audience lies. 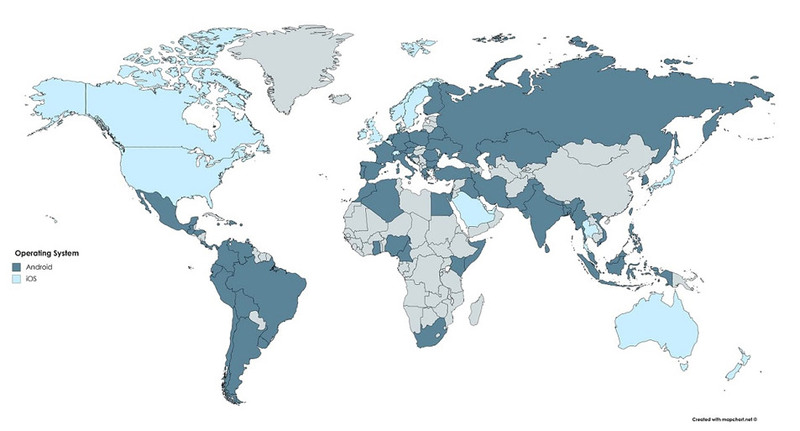 This map shows which country prefer iOS and which prefer Android. According to this map, if your target audience lies in Sweden, UK, USA, and Japan, mainly countries in Western Europe and North America, it is a better idea to choose iOS over Android. Don’t come to a conclusion so easily. Check other factors as well. Android has a larger market share. A report published in Statista reveals that in the second quarter of 2018, 88% of all the Smartphones sold to the users were with the Android operating system. If you want to launch your app in the global market, Android is the best choice. Every company wants to create an application that can be quickly built and is less expensive. Here is a short comparison between Android and iOS that will help build a solid expectation regarding project timeline. Programming Language Swift involves less writing Java requires more writing, however, Kotlin, Android’s new official programming language takes less time to write code. Platform Proprietary and standardized, less scope for customization and creativity. Open source, lack of standardization, a high scope for customization and creativity. The factors depicted in the table impact the mobile application development timeline. Since Apple has a closed ecosystem, developing an app is much easier, secure, and faster with iOS. However, Android is open source and so flexible. A reliable eCommerce mobile app development company can easily play around this and develop a feature-rich shopping application. Android is open source and so gives more scope to the Android developers to create shopping apps with more features and unique functionality. Closed ecosystem of the iOS doesn’t let the iOS developers do much experiment with the eCommerce mobile app. According to a study, 50% of Android users have not updated the operating system. iOS users hold a better record in this context. Making a significant investment is part and parcel of eCommerce mobile app development. Since Android users install fewer updates, Android eCommerce application requires less maintenance, whereas iOS applications need more investment on maintenance. Every person handles a technology differently. They have their unique set of preferences, which is loosely based upon the budget and technology ecosystem in the region. These preferences determine their behavior. This means an Android user behaviour is different from iOS user behavior. For instance, this chart by Statista shows that although Android users claim more app downloads globally, their share of money spent on the app is almost the same as Apple users. iOS has mostly young, affluent users, and so they spend more dollars on a mobile app, as compared to Android users. However, in the utility segment, Android users have taken the lead by spending more than iOS users. 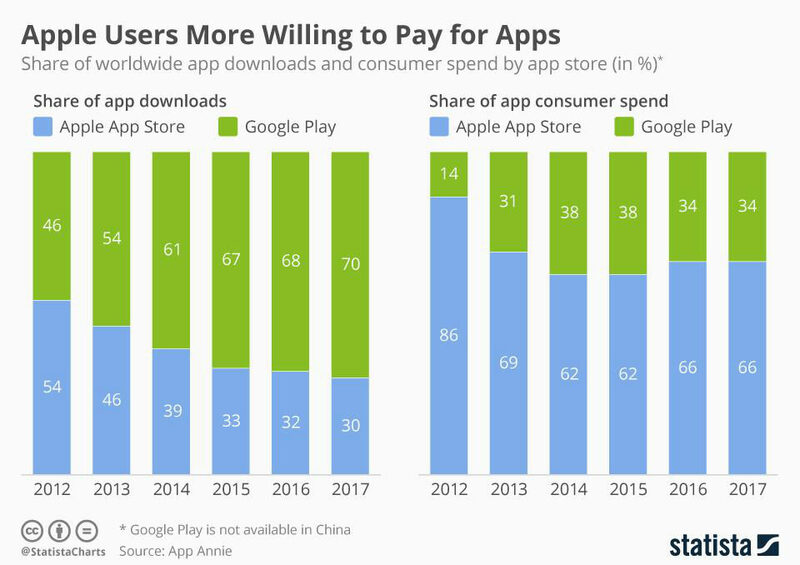 A report suggests that Asian users spend around 40% more on in-app purchases, and China is the biggest driver of iOS revenue, although iOS is the dominant Smartphone operating system in China. A possible reason could be Google Play is not available in China, as it was banned in 2010. Identify who is your audience, where do they live. If you want to build an online shopping application quickly and cheaply, iOS platform should be your choice. If you want to target the global audience and emerging market, go for Android eCommerce application. Hire specialized eCommerce application development company for developing mobile shopping applications. Subscribe to our mailing list to get the updates on your email. 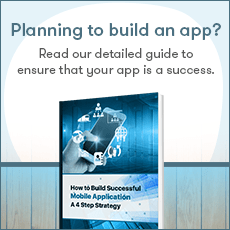 Planning to build an app? 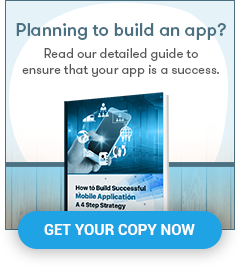 Be Thorough, Plan it Meticulously to Make your App a Success. 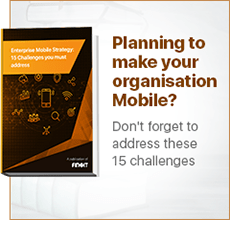 Planning to make your organization Mobile? 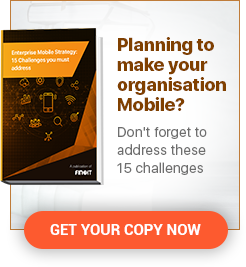 Top 15 Mistakes Other Companies Made while Implementing Enterprise Mobility. 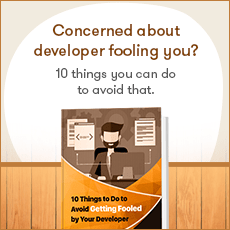 Concerned about developer fooling you? Is your Developer Playing a Foul Game? © 2010-2019 Finoit Technologies (I) Pvt Ltd. All Rights Reserved. Wish to discuss a project? Let’s Connect!